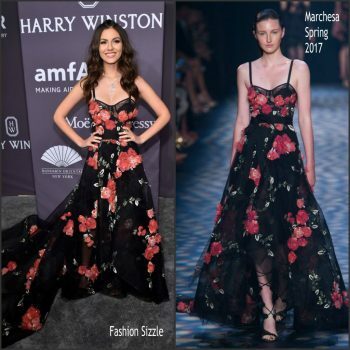 Victoria Justice attended he amfAR Gala Los Angeles 2018 on Thursday (October 18) in Beverly Hills, California. 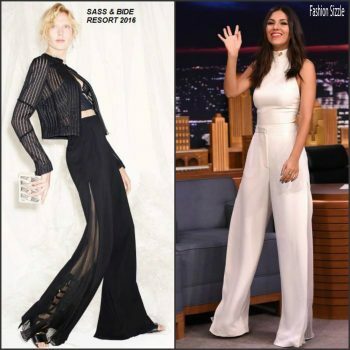 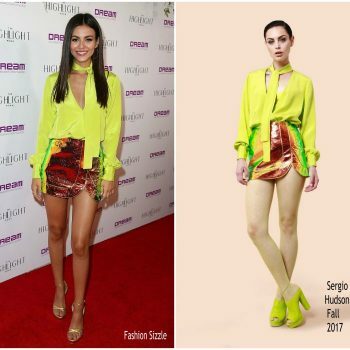 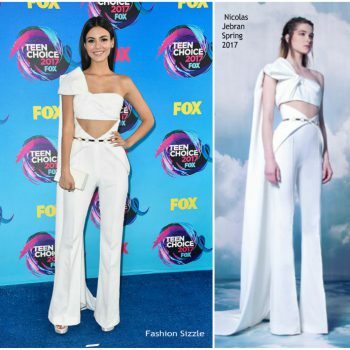 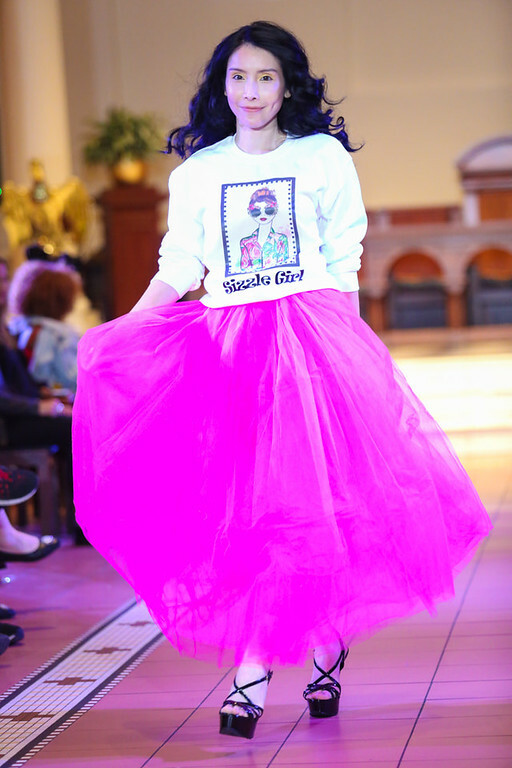 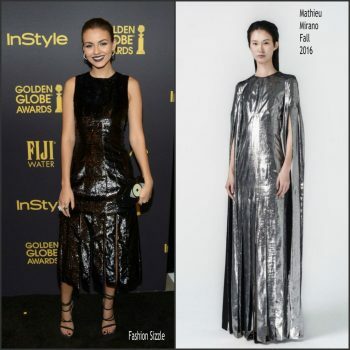 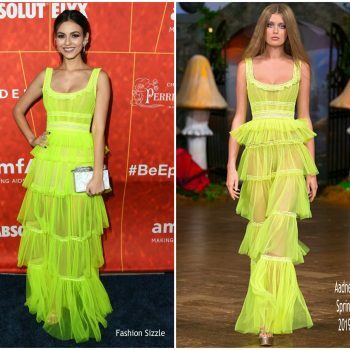 She wore a yelloe Aadnevik’s Spring 2019 tiered dress styled with Yvan Tufenkjian and APM Monaco jewels..
Victoria Justice attended the amfAR generationCURE Solstice on Tuesday (June 20) in New York City. 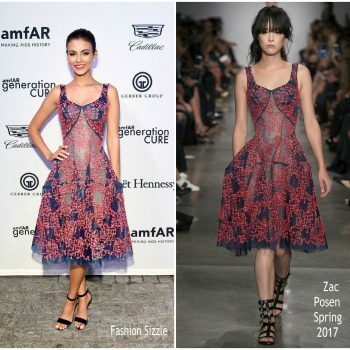 She wore a purple-pink Zac Posen Spring 2017 dress . 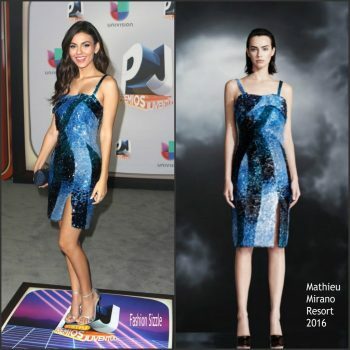 Actress Victoria Justice attended the Univision's 13th Edition Of Premios Juventud Youth Awards at Bank United Center on July 14, 2016 in Miami, Florida. 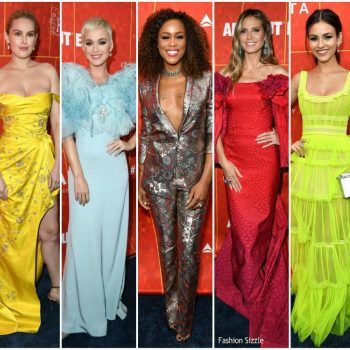 The 7th Annual amfAR Inspiration Gala New York was held at Skylight at Moynihan Station on June 9, 2016 in New York City.